Democrats are expecting a “blue wave” in November, but if history is any guide, Republican Gary Quinn on Wednesday night became the instant favorite to be the next Ocean County resident to serve as freeholder. Quinn, a member of the Lacey Township committee who has served as that town’s mayor, was selected Wednesday night as the Republican nominee for the Ocean County freeholder board election this fall. He will run alongside incumbent freeholder Gerry Little, of Surf City, taking the place of John Bartlett, the longest-serving freeholder in New Jersey who is retiring to focus his energy on an ongoing fight with cancer. Quinn’s reaction after being nominated: “Those are some big shoes to fill,” he said, referring to Bartlett, who has shepherded the county’s operating budget for decades, playing an integral role in attaining the county’s status as one with among the lowest tax rates in the state and one of a handful of New Jersey governmental agencies with a triple-A bond rating. 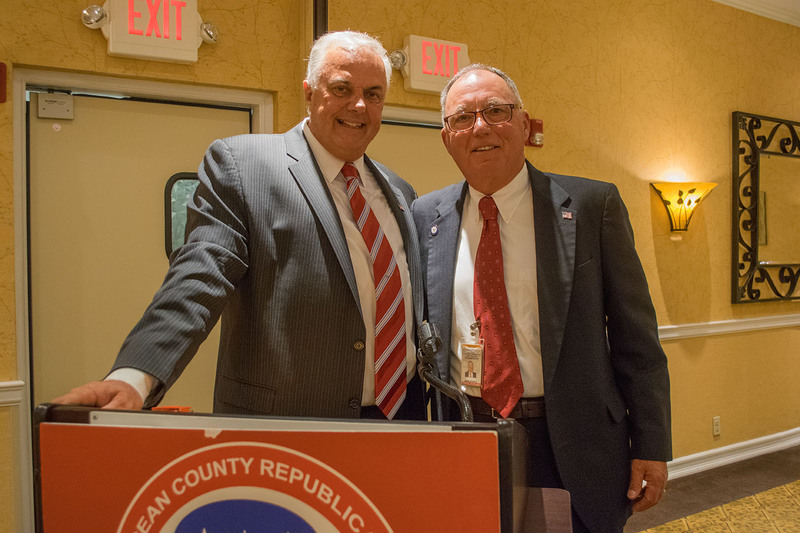 Quinn has remained in high esteem in Lacey Township since his first run for office – a school board seat where he served for five years – before running successfully for township committee. He has been elected seven times between the two offices and has served as mayor, playing a role in shaping township policy and managing relations with the Oyster Creek Generating Station and the development of a new ratable base for the town along the growing Route 9 corridor. Quinn and Little, both Republicans, will square off against Democrats Teddy Price, of Toms River, and Vince Minichino, of Brick. Price made headlines himself Wednesday when he broke party ranks to endorse GOP candidate Bob Hugin for U.S. Senate over Democrat Bob Menendez. While voter turnout is expected to be high among Democrats this year, winning countywide races has proved immensely difficult in deep-red Ocean County. Paul Brush, a former Toms River mayor, was the last Democrat to serve on the board, having been elected in 1989.